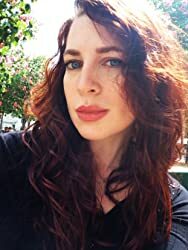 Arkady Martine is a speculative fiction writer and, as Dr. AnnaLinden Weller, a historian of the Byzantine Empire and a city planner. Under both names, she writes about border politics, rhetoric, propaganda, and the edges of the world. Arkady grew up in New York City and, after some time in Turkey, Canada, and Sweden, lives in Baltimore with her wife, the author Vivian Shaw. A Memory Called Empire is her debut novel. CLICK HERE FOR MORE STORIES BY ARKADY MARTINE. 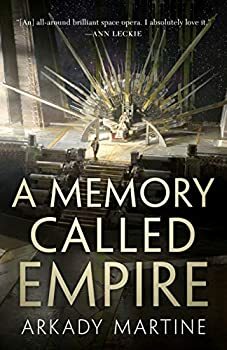 Arkady Martine’s A Memory Called Empire (2019) is one of the more ambitious books (and certainly debuts) I’ve read in some time, an ambition well within the author’s reach, it turns out. Richly layered, backgrounded with vividly intriguing world-building, nicely paced in the way it moves and unfolds, and filled with complex, engaging characters, it’s pretty much everything one can ask for in a book.